This large State Forest is another tract of wild land in the Wekiva River Basin. Habitats include scrub, sandhills, flatwoods, hammocks, swamp and seasonal ponds, plus hidden springs and the scenic Blackwater Creek. Take your pick from 21 miles of hiking trails, 25 miles of biking trails and 23 miles of horse trails. Pick up a map at an entrance kiosk before setting out. 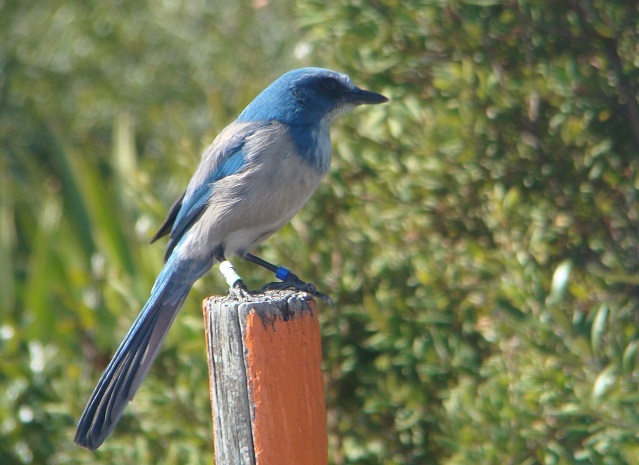 Birding by car is recommended to quickly access the best parts of the property (permits to drive in part way are obtained by calling in advance). Starting at the southern entrance by Bear Pond off SR 46, check the southern portion of Sand Road, East Spur, Lower Wekiva Loop Trail and the Florida Trail (east of Sand Road) for Florida Scrub-Jays and Red-headed Woodpeckers. Hairy Woodpeckers and Brown-headed Nuthatches reside in the flatwoods north of Bear Pond. Stop at the bridge over Blackwater Creek, and watch for Limpkins along the creek. Head west on Grade Road to the intersection with Sulphur Road and Loop Road, and look for Indigo Buntings, White-eyed Vireos and Pine Warblers. Camping overnight at one of the five primitive campsites (first come, first served) gives you the opportunity to hear Chuck-will’s-widows and Common Nighthawks in the spring and summer. Birding by canoe or kayak along Blackwater Creek is a great experience; launch from the Blackwater Creek bridge. One of the best times for butterfly watchers to visit is early to mid autumn, when numerous wildflowers are blooming; look for Spicebush Swallowtail, Phaon Crescent and Fiery Skipper. Bring water and prepare for biting insects. Seasonal hunting takes place; please click here for dates, regulations and more information.